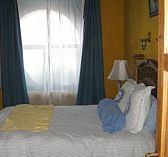 I am a Canadian looking for a small furnished apartment (studio, one or two bedroom) in Tlaquepaque on a quiet street within walking distance of shops and restaurants. The rent could be up to US$1000 per month, preferably with internet, cable and utilities included. Many thanks.